While I'm yet to observe a popular way for governments to tax the masses, Labor's proposals on franking credits has focussed the attention of one very local and agitated demographic in particular: wealthy retirees with the time and inclination to rile the boffins that have suggested such an impost. This franking credit debate has dominated headlines for months. As a quick recap, Labor proposed that when the franking credit generates a refund for the taxpayer, the cash refund is ignored. They’ve now made some exemptions, however, the policy still stands. In this special report, we review what’s happened, identify the winners and losers, discuss alternative sources of income, and ask whether the whole thing is a distraction to bigger issues that lie ahead. Scott Morrison became both the new Liberal leader and Prime Minister of Australia in late August in a particularly messy implosion by the Liberal Party. Arguably the main fallout from this change of leadership has been the markets acknowledgement that Labor is likely to win the next election sometime before next May. For the record, we feel this is probably the nadir for Scott Morrison and 8-months can be an awfully long time in politics. However, while we should not discount the Liberals, especially as we all saw the polls get it wrong with BREXIT and President Trump, being prepared for a new style of government is clearly prudent. Firstly it’s important to qualify who this change will impact, given it’s probably less than many think, following the Shorten carve-outs. If you’re on an Age Pension (full or part), Disability Support Pension, carer payments, parenting payments, Newstart or sickness allowances you will be exempt including SMSF’s with at least one pensioner recipient before 28 March. "If you’re on an Age Pension (full or part), Disability Support Pension, carer payments, parenting payments, Newstart or sickness allowances you will be exempt including SMSF’s with at least one pensioner recipient before 28 March"
For many still holdings assets in superannuation paying 15% tax on investment earnings and capital gains (if the asset was held less than 12 months), the removal of cash refunds from franking credits will likely end up being a zero sum game for some. Though not so for the retirees who do not receive any of the government payments mentioned and who have moved their super into a pension account that pays no tax on their earnings. Historically, franking credits would have resulted in a cash refund although this looks to be lost under the proposal as there is no taxable income that can be used to offset the franking credits. While retirees who fall into the window above will be the most obvious loser, there are wider ramifications in other areas. Ultimately, franking credits will be less useful for individuals who pay little or no tax which means that Australian fully franked shares will be less attractive relative to international shares and fixed income investments. The $56 billion saving to government (over 10 years) could also impact domestic focused fund managers in terms of attracting funds. "Ultimately, franking credits will be less useful for individuals who pay little or no tax which means that Australian fully franked shares will be less attractive relative to international shares and fixed income investments"
Offsetting that to a degree will be a partial levelling of the playing field between holding shares in a managed fund and holding them directly. The argument against a managed fund structure (and it’s a valid one) is that a fund can’t manage a portfolio specifically for an individual's after-tax returns, whereas as an investor holding a portfolio of shares directly can. That largely centres on capital gains consequences however fully franked income was also a major part of the benefit. Poor old stockbrokers will also feel the pinch for the same reason, insofar as buying and selling direct shares for income (including franking) won’t be as appealing. The Government is obviously the big winner here with a proposed $11bn bump in revenue over the first two years. Funnily enough, industry/union super funds that have a close tie to Labor will be a beneficiary, given that one of the key reasons cited for leaving an industry fund has been more direct access to franking credit benefits. Direct property as an investment looks more appealing (relative to shares), as do listed real-estate investment trusts and utilities. Listed bond funds, and other non-franked income securities (which we’ll delve into below), in theory, will also become more appealing. The question remains will it actually impact enough capital to make a difference? 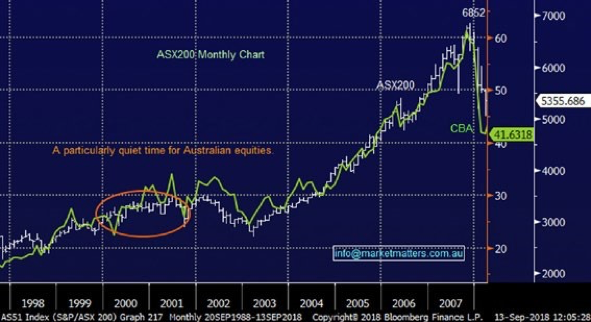 Our first observation is the introduction of franking credit changes by John Howard in 2000 had little impact on the Australian index, which was very quiet both in the years before and after, whilst our huge bull market into the GFC only commenced about 3-years later. 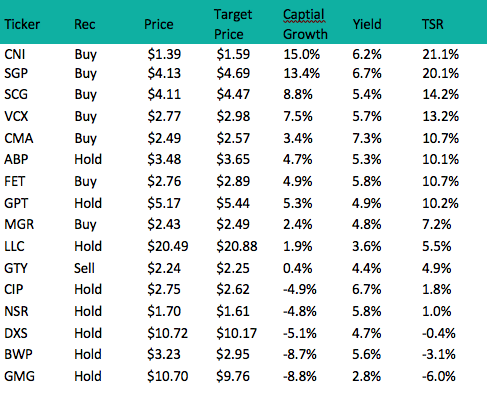 Also, when we look at fully franked dividend favourite, CBA, the result is pretty much the same: i.e. no great impact. It seems to us the much-discussed changes to franking credits will have a relatively small impact on stocks and the ASX200 in general. "It seems to us the much-discussed changes to franking credits will have a relatively small impact on stocks and the ASX200 in general"
The hunt for yield appeared to spiral out of control in 2015 when retail investors in particular piled into areas like the Australian banks creating the “yield bubble”, which subsequently popped and we saw CBA, for example, correct over 25%. Hence we believe markets have already witnessed a partial exodus of funds from the largest part of the classic “yield play” sector, with the sticky funds remaining. Undoubtedly a large number of retail investors are holding onto their positions because of the yield plus franking credits. But we question whether the potential changes will cause a mass exodus, our feeling in aggregate is no. "But we question whether the potential changes will cause a mass exodus, our feeling in aggregate is no"
Furthermore, tweaking the composition of franking is not all negative from a market’s perspective. It’s very clear that our current taxation system makes the domestic share market less appealing to overseas investors, simply because our imputation rules create distortions around the value of the same stream of earnings from an ASX-listed company. In short, franked dividends are more valuable to an Australian investor than to foreign investors and with about 30% of the ASX owned by foreigners, a change to the structure could feed a bigger appetite for offshore investors to focus more on Australia, and Australians to invest offshore, a possible silver lining. Has our market view changed? While the franking credit issue is certainly a live one, our primary focus remains on being in the right sectors and stocks at the right times based on the prevailing macro backdrop over and above simply investing for dividends. At the end of the day, investors really should be focussing on total return over and above dividends in isolation. We back-test models regularly and there is an obvious theme that high dividend stocks typically underperform lower dividend-paying stocks. "At the end of the day, investors really should be focussing on total return over and above dividends in isolation"
The current discussion around franking credits we believe could end up being a smokescreen for investors who should be focussing on bigger issues, such as how to deal with rising interest rates in the years ahead. Australian 10-year bond yields have already increased by 40% albeit from an extremely low base, even while the RBA cash rate has remained rooted to 1.5%. We believe the local 10-year bond rate is headed to 3.5-4% in the medium term and this is likely to have a material impact on portfolios chasing yield. With that in mind, at this late stage of the stock market and economic cycle, we are extremely wary of sectors that are negatively influenced by higher interest rates. 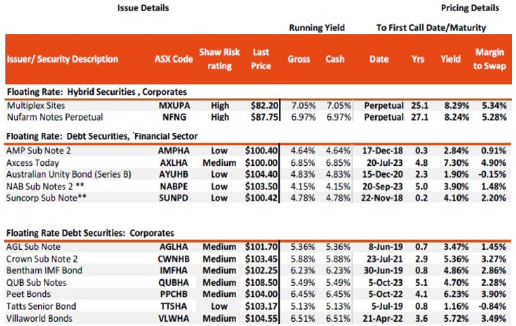 "The current discussion around franking credits we believe could end up being a smokescreen for investors who should be focussing on bigger issues, such as how to deal with rising interest rates in the years ahead"
These include the high valuation/growth stocks, but it also includes stocks that typically hold high debt levels (infrastructure) plus those areas where underlying asset prices have been supported by low rates (property), however as a shorter term theme if / when Labor take office, we would expect those stocks to get a short-term boost. The other area to focus on would be income securities. There are a few hybrids that are unfranked or partially franked, while there’s also a range of other income securities listed on the ASX that simply pay an unfranked distribution. The main issue with hybrids is that generally, the unfranked versions are the older ones that are perpetual such as the Macquarie MBLHB which pays a running yield of 4.29%, however you’re really banking on MQG redeeming them at some point like Seven have done with the TELYS4 (SVWPA). The NABHA are an option with a running yield of 3.71% however again, the trade here is backing redemption by NAB when the securities lose enough of their tier 1 status rendering them expensive. There are a number of income funds on the ASX which could benefit from the change, and see more interest. We hold the MCP Master Income Trust (MXT) in the Market Matters Income Portfolio and it’s a good security that targets income of 3.25% above the cash rate. We also intend to add the Neuberger Berman International Bond Fund to the portfolio, which is another example of a security that would be well suited under a Labor Government. When is it time for action? Some time before May 2019 is the easy answer, although it depends on many fluid factors. The cynic in me would suggest that the most obvious outcomes/market reactions to a change like this will be offset by other factors that were simply unforeseen. In terms of our approach, it won’t be an aggressive one and we’ll let stocks tell us what to do. In the first instance, we’ll discount dividend income in our models by a suitable margin and that will have a bearing on valuations, while we’ll also let the ‘tape’ guide us in terms of the technical picture for stocks.